This is our most popular of all the fun food catering services that we provide. Maybe it’s because of the diverse range of bespoke and unique ice cream services we have have created, maybe it just because people just love ice cream! 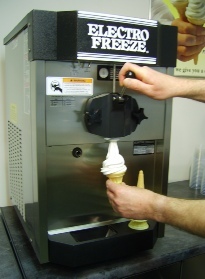 We start our range of products from providing the ice cream freezers and soft ice cream machine hire for you to DIY. 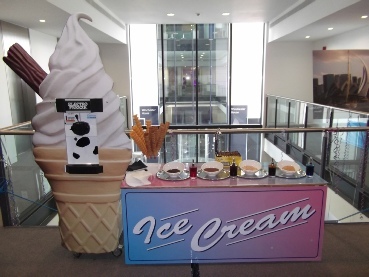 From this we have built up a range of add-on’s: Our range of ice cream factory choices are second to none! 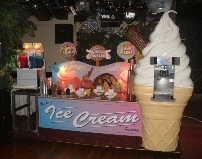 for the ice cream machine there is a choice of ice cream frontages, Also promotional boards and back boards, tables with lights and pop-up signs. 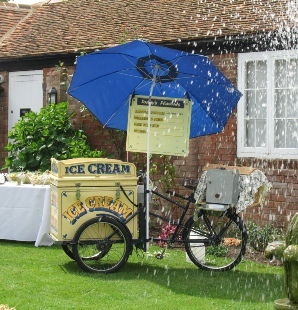 Our old fashion ice cream trikes which are in pristine condition, are in excess of 30 years old. 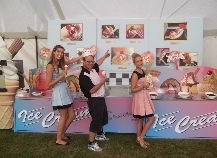 Looking for an unique inflatable ice cream van which can be taken almost anywhere, our ice cream sundae bar creations are to die for! and Oh Yes an ice cream parlour! All of these can be provided with promotional staff. Always a great ideal for a trade exhibition stand attraction as they can take up very little room on your Trade stand. 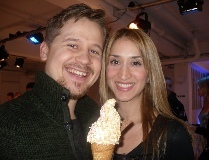 A great and easy attraction as the Ice cream machine dose all the work, That is apart from talking to your clients. A very pleasant surprise to all associates attending; A little something different at the conference break-out. All our equipment is cleaned and checked before it is sent out to any function or event, thus ensuring the best possible level of hygiene and reliability, as well as client and customer satisfaction. A great item for a trade stand attraction. 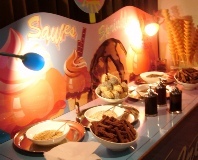 Transportation by us includes the set-up of the ice cream service. If it is left for you to operate on your trade stand, then before departing our representative will give a comprehensive demonstration on on how to use the equipment. Our transport service will take the equipment anywhere in the UK and international if required, we strive to arrive in good time making sure that you and us are not anxious about us being late. Should there be a delay on route we will keep in constant contact with you so you can feel confident that you will not be let down. Conference and Meeting idea. 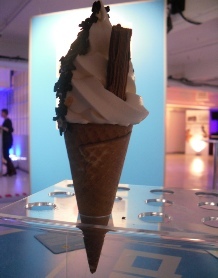 As an Exhibition Stand Catering Attraction, this is hard to be beat(not for the machine), let alone top-it (He he)! This trade stand catering will attract potential clients towards your stand and it will be up to you to make the best from this excellent marketing tool. 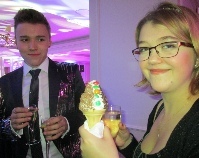 The main stay set-up is the ice cream machine, serving ice cream cones with Flakes. This can be expanded to a fast serve ice cream factory with several ice cream machine serving points and tables with sprinkles, toppings and sauces attended by our staff. Serving 1000 per hour! is this the ultimate in ice cream factory? 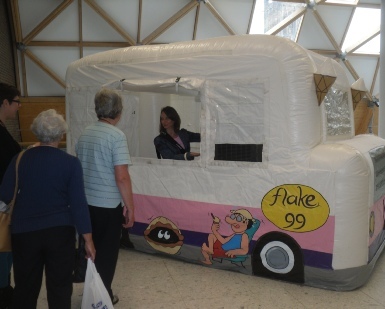 Unique is the inflatable ice cream van, Take it inside or to the roof top. So long as it has electricity it will look and play the part. 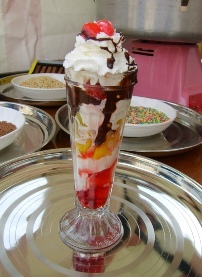 You can have all the usual items found in an ice cream van and more. (Anything that can be served from it)! 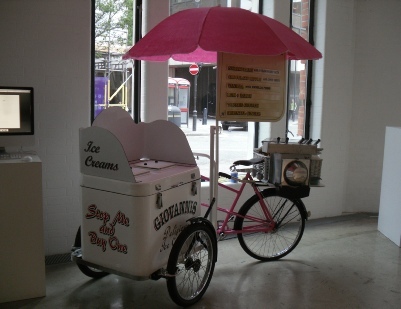 Vintage are the old fashion ice cream trikes, from years gone bye. Both in exceptional condition. We have a very pretty white, Black and Pink trike with lots of chrome and a really authentic trike written up in old style fun-fair sign writing. Lilliebrooke Manor, Ascot Race Course, Hilton St Annes Manor Hotel, Queen Elizabeth II Conference Centre, National Exhibition Centre, Sandown Park Exhibition and Conference Centre, Beaumont Estate, Two Rivers Staines, Sunningdale Park, Savill Court Hotel and Spa, Alexandra Palace, Copthorne Hotel, Slough Windsor, G-Mex Centre, Manchester Central Convention Complex, Business Design Centre, Kensington Palace, Earls Court, Epsom Downs Racecourse, O2 Arena, Windsor Racecourse, Stoneleigh Park, Cardiff International Arena, Telford International Centre, ExCeL, The Brighton Centre, Olympia.